You pick the stix you want! 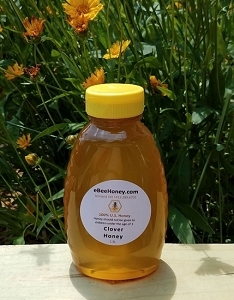 Choose 10 different honey stixs below as they come in packs of 100. You'll get 1000 total straws. If you pick more than 10 choices your order will be delayed. No worries as the stix varieties will be in their own ziploc bags and labeled so you'll know what is what in each bag. To get more than 100 sticks of one variety, please read description below. 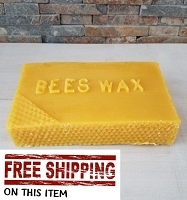 Please note since we have included shipping costs into these honey sticks that the shipping carrier we use is our discretion, however, we will use both USPS and UPS for this number of honey sticks. The honey straws are 6.5" long. 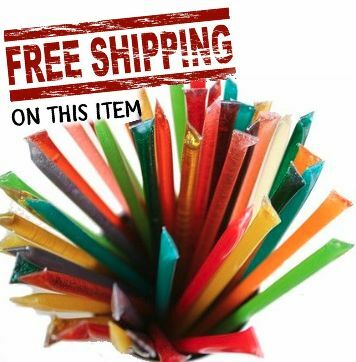 In this pack - get 10 different varieties of honey straws in packs of 100, so 1000 straws! (ie get 300 clover, 600 orange blossom, 100 raspberry, etc). Simply add the item to your shopping cart. You can let us know by typing in the varieties and quantities in increments of 100, desired in the "comment" box which is located by the credit card info on the checkout page. Honey Stix are 100% natural, Grade A honey, packed in straws. Natural extracts are added to offer different flavors. 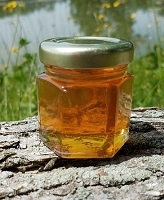 To open them, just bite or clip the heat seal at one end, and then just squeeze the honey into your mouth. We offer: Agave (pure Agave no honey), Amaretto, Apple, Blackberry, Blueberry, Buckwheat, Caramel, Caramel Agave, Chai, Cherry, Cinnamon, Clover, Coffee, Ginger, Grape, Grape Agave, Habanero, Key Lime, Lemon, Lime Agave, Mango, Mint, Orange Blossom, Peach, Peppermint, Pina Colada, Pink Lemonade, Raspberry, Root Beer, Sour Apple, Sour Cherry, Sour Grape, Sour Lemon, Sour Orange, Sour Raspberry, Sour Strawberry, Star Thistle, Vanilla, Watermelon, Wildflower, and Wintergreen. The varieties that come directly from the floral source are: Blackberry, Buckwheat, Clover, Orange Blossom, Star Thistle, and Wildflower. 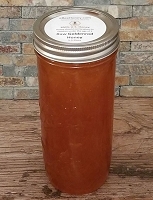 The following honey sticks are certified Kosher: Agave, Apple, Blackberry, Blueberry, Buckwheat, Caramel, Caramel Agave, Chai, Cherry, Cinnamon, Clover, Fresh Mint, Grape, Key Lime, Lemon, Orange Blossom, Peach, Peppermint, Pina Colada, Pink Lemonade, Raspberry, Root Beer, Sour Apple, Sour Raspberry, Sour Cherry, Sour Lemon, Sour Strawberry, Sour Orange, Watermelon, and Wildflower. Kosher certification is by the Orthodox Union - Union of Orthodox Jewish Congregation of America, New York. If you need a Kosher certificate, please let us know in the comment section when you are checking out. Honey straws are a great energy boost. 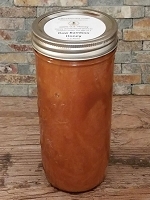 Honey Stix can be used in coffee, tea, in a smoothie, on cereal, oatmeal, toast, muffins, rice, yogurt, pudding, ice cream or any time you need a bit of honey. Simply clip off one end of the straw and you can squeeze out your honey! 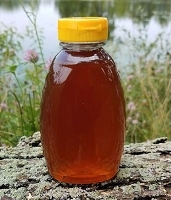 To read about our various honey sticks and their flavor description. 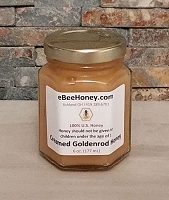 Creamed Goldenrod Honey - 6 oz. Raw Goldenrod - Pint and Half 36 oz. Love the many different flavors of honey sticks,such a great snack! 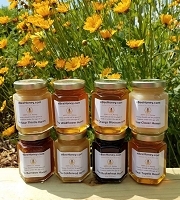 We purchased these to resell in our store with our own honey products. Very happy with these honey straws. Brings a uniqueness to our products. The kids love them! Some have a candy taste. Thank you, I know we will be ordering more and different flavors. I ordered a specific color assortment for wedding favors. We are bundling together with a tag. The requested colors/flavors arrived super fast and look fantastic! I'm so excited about this unique and quality product! What more is there to say. Great product! Great price! Super fast shipping! Whole family loves them. Will definitely buy again. Looking forward to trying all the flavors.